Most of my followers on Twitter know of the detained Israeli on 9/11. Some cheering while they were documenting the event. Some were caught while driving around with vans full of explosives, fake passports, city maps and cash. In 2001 up to 200 Israeli were detained, in an alleged Israeli Spy Ring. Some were following the alleged hijackers of 9/11. Now, what has Art has to do with it? Except it was (or is) a perfect cover-up for the Israeli spies to enter and stay in the US, could there be another reason? Well, there were a lot of explosions in the Towers during the event on 9/11. To wire a building with explosives you will need unlimited access for a period of weeks for preparation. 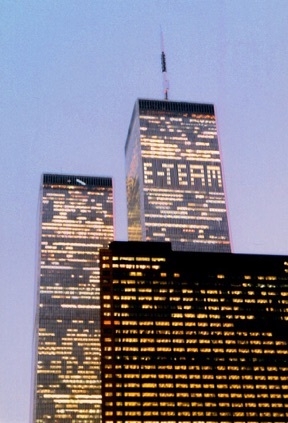 Surprisingly, one group indeed had access to the WTC, 7 days a week. And coincidentally, it were Art people just like the cover-up of the detained Israeli. The Art Group even made modifications to the building, by taking out windows for example. 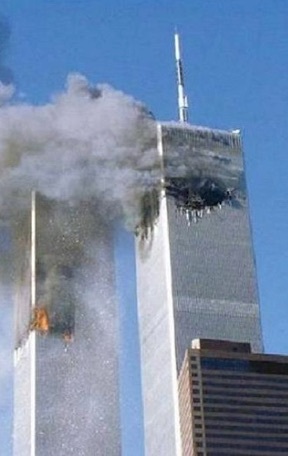 And surprisingly this was on the 91st floor, same as impact zone of the Boeing on 9/11. Thanks and credits to Mark Dotzler. Budjanovci, Srbija ... F177A !!! I could have sworn a link to a blog that will help people understand the "91(10)" and yet it's gone. Too hot?